Before I actually began blogging (and well before Pinterest) I followed blogs by bookmarking them. I'd bookmark blogs. I'd bookmark posts. I'd bookmark! 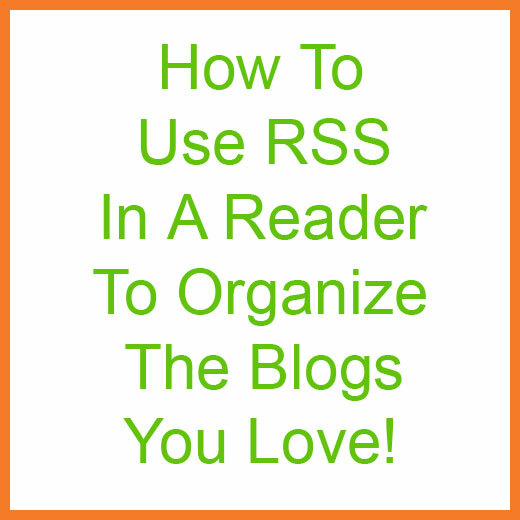 I had no idea what RSS was, or how it could change the way I read blogs. 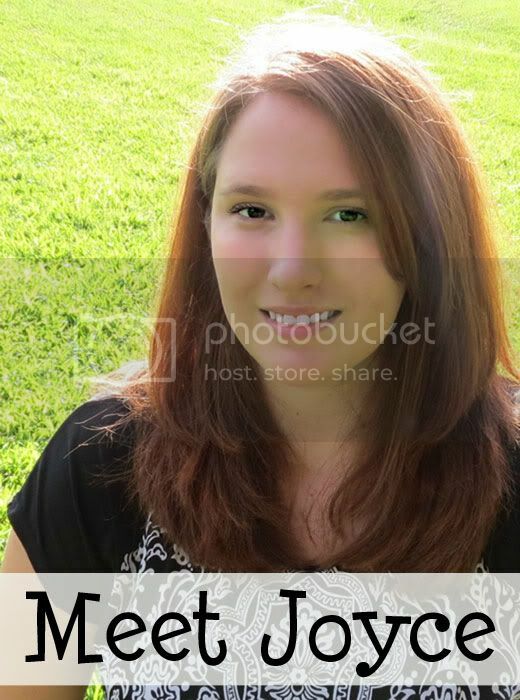 I figured I probably wasn't the only one, so I've made this picture tutorial. My bookmarks list was in the hundreds. It was incredibly hard to navigate. I would often completely forget about blogs I really loved. It was not a good system. Now with Pinterest, I no longer feel the need to bookmark particular posts because I can pin them quite easily to organized boards. Yay! But what about the blogs that I want to continuously check? RSS! 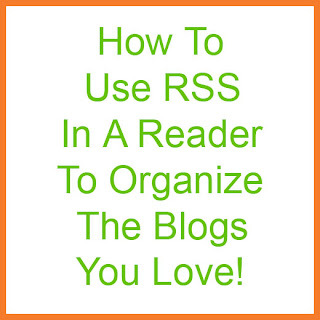 Simply put, RSS is a great way to follow all of your favorite blogs. You subscribe to a blog's feed and then it is delivered into a reader for your viewing. There are several free readers to choose from, but I use Google Reader. If you do not have a Google account, you will need to set one up. You can do this easily (while setting up the reader) by visiting this link. Just fill in the necessary information and you're all set! 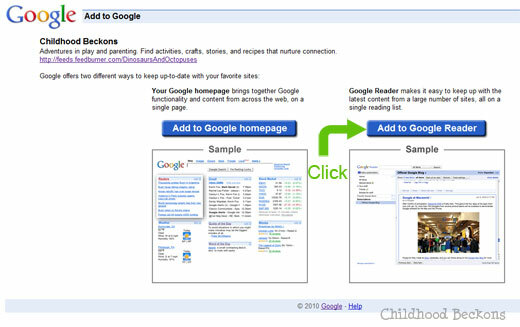 If you already have a Google account, you can skip that step and start adding blogs to the reader by following the steps I've outlined below. 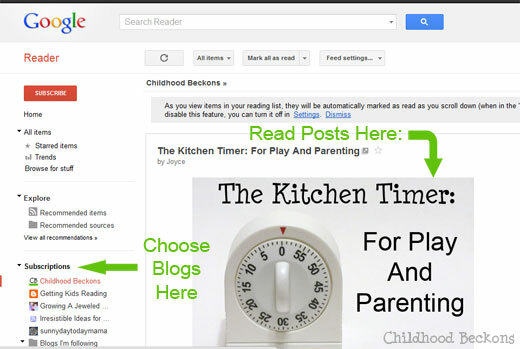 Now that you have a reader established, you can add the feeds of all of your must reads. 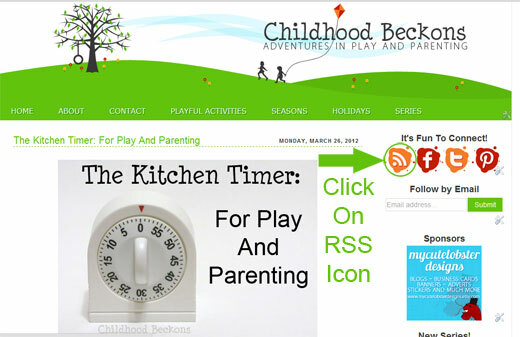 Most blogs have their RSS feeds ready for you to grab making this easy for you to do. 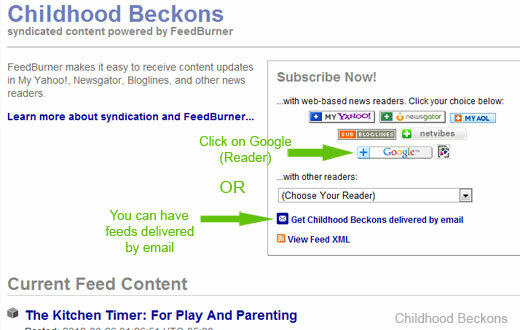 Once you have subscribed to blogs, their new content will show up automatically as it is published in your reader. No more randomly checking your bookmarks for new content! This has definitely made reading blogs a lot easier for me. I hope that it makes it easier for you as well. 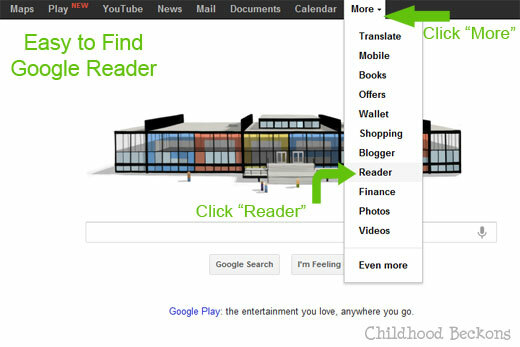 Now you can easily visit your reader from your Google homepage. Here's a screen shot of where you can find it. I hope that this made RSS a bit easier to understand and use. Did you find this helpful? If you have any further questions, please just leave me a comment and I'll do my best to find the answer. I also recommend this post for more detailed information on RSS. 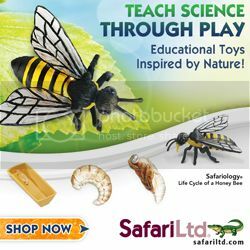 If you are excited to try this out, and like my posts, you could always subscribe to my blog. Well done! This is a great tutorial. I love the pictures and the simple way that you explained everything. Thanks! Very informative post! The pictures really help walk people who may be unfamiliar through the process.